Yes, you can purchase a Merlin Annual Pass to be collected from SEA LIFE Melbourne. To book your Merlin Annual Pass, click here. 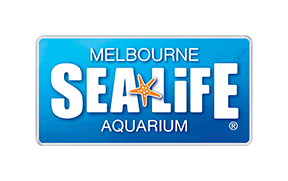 When collecting your Merlin Annual Pass from SEA LIFE Melbourne, each pass holder will be required to have their photo taken for their Merlin Annual Pass. Please be aware Merlin Annual Passes must be collected within 7 days from the date of purchase. Alternatively you can purchase your Merlin Annual Pass during your visit.